Sommarens konsertupplevelse blev Doug Seegers. Om någon har missat det ”upptäcktes” Doug som hemlös gatumusikant i Nashville av Jill Johnsson och Magnus Carlsson (Weeping Willows) i ett av avsnitten av Jills Veranda i TV. Doug berörde med sin historia, sin smått fantastiska röst och den egna låten ”Going down to the river” och TV-teamet lyckades ordna till en studioinspelning i Johnny Cash’s gamla studio. I sommar har Doug turnerat i Sverige som tack för den enorma respons han fått efter programmet. På Majas-vid-Havet i Apelviken söder om Varberg uppträdde han i torsdags tillsammans med en jämtländsk kompgrupp med Ellen Sundberg (som också agerade förband). Det var inte första konsertbesöket på Majas-vid-havet, men kanske det allra bästa. Musikupplevelsen smältes sedan dagen efter tillsammans med en god picknick på Ustö i Vendelsöfjorden: 30 grader, gassande sol, 24 grader i vattnet och en rätt påtaglig tropikkänsla. The new teeth say a lot, don't they? Quite a story in that one prosaic detail. I've been rifling YouTube for his performances. They grow better and more accomplished, seemingly by the day. Amazing, such a sudden bursting forth of a great talent, and what a wonderful story. You note, Björn, his charming stage personality and skillful interaction with the audience, a surprise in view of his former down-and-out condition. However, busking on the street for so long must have required that he develop and hone those skills, at least on that smaller scale. Otherwise he must starve in today's cruel, indifferent American Street. Given the opportunity then, he was at least partly prepared to engage with larger audiences, and to draw on his store of experience. Now, let's hope he can adapt to his newfound fame, and handle it in the longer term. He's come a long, long way, but the greatest danger is still ahead of him. Thank you for this, Björn. I might never have known otherwise. With very few exceptions (Johnny Cash comes to mind), I have never been a country music fan, but Doug Seegers may very well add another exception. Yes, you are right of course. 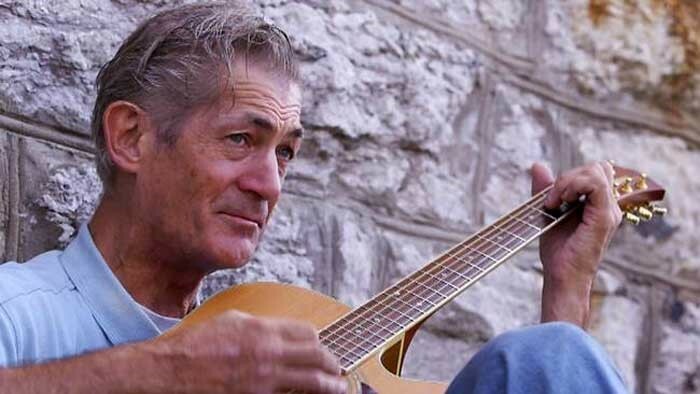 As a long time street singer he must have considerable social skills to make it. But I still think the situations are different: at the street corner people just happen to walk by, without any expectations and perhaps stop and listen for a while – at a concert like this 700 listeners have paid to be entertained and have expectations and claims. I did not expect that easy confidence in that situation. I learned afterwards that he sang in the streets of Varberg earlier that day and gave free performances in a prison and a refugee center in other cities. I also agree on country music: I am not a fan. But with age I have come to regard genres as a not very interesting way to label music. I have found interesting artist and exciting music all over the map, and I do not bother to call them "guilty pleasures" anymore. In country music it is fx Alison Krauss (with the Union Station band – or with Robert Plant) and more. On another note: I went for a swim in Lomma at the west Coast of Skåne this afternoon. We have had 28-30 degrees for the last three weeks and the sea have provided some relief from the heat. But not tonight! The blazing sun, light westerly winds on the extremely shallow Lomma bay had pushed the water temp up above the air temp. I cannot remember swimming in lukewarm seawater in Sweden at any time before! Tack för trevliga dagar, alltid kul med brorbesök! Men ingen bild på vackra Kajsa? Är det bara kajaker som gäller på den här sidan? Kajsa är faktiskt med på bild - det centrala motivet till och med. Några närbilder blev det dock inte; jag hade händerna upptagna med rorkult och skot mesta tiden.